Fruits cooked in a caldron, oure juices and tomato sauces. 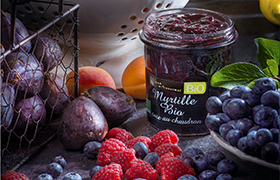 Fruits and vegetables can be declined in so many different forms : our range of products Jean d'Audignac bio proposes more than ten references of organic fruits and vegetables. You can discover all our range of products on your private account (Organic products family) on sdprungis.com.